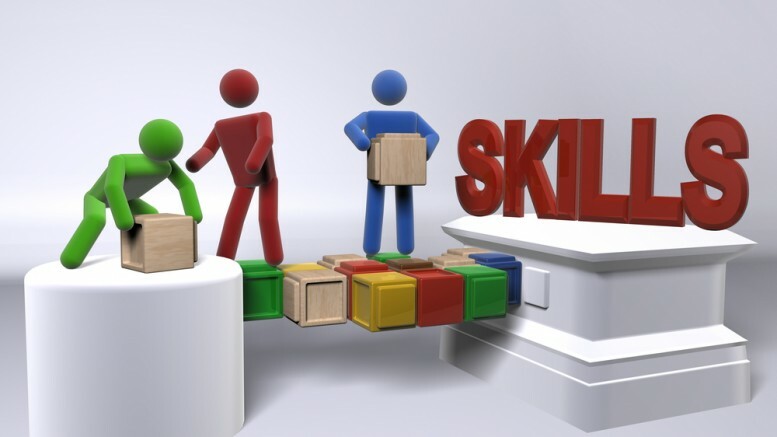 TIME magazine highlighted the four areas for 21st century workplace skills way back in 2006, which still remain relevant. Their research demonstrated that the new century needs globally savvy and emotionally intelligent employees who are smart about information sources and adept at thinking out of the box. • Empathy: Adapting business to the 21st century is the key responsibility of your generation. As we approach the second decade of this century, ensure that the business practice embraces new directions in a digital world while making sure that the practices developed are equitable and empathetic to those sub-sections which are lagging behind. • Communication: Juggling between different means of communication requires great linguistic finesse. It is necessary to distinguish between formal/ informal modes of communication and adapt your language accordingly. For instance, using WhatsApp to give notice at work is not an acceptable business communication. • Technical Skills: There is a huge emphasis on data analytics in the current workplace which requires a solid foundation of technical skills. Don’t just focus on the technical skills which appeal to you, such as digital marketing skills. Remember that advanced level MS Office (especially Excel) skills are the building blocks of workplace technical skills. • Analytical Skills: With the ever increasing data generation, analytics is the need of the hour. The data needs to be organized, interpreted, analyzed, and then presented in bite-size chunks that lead to concrete action points with business impact. • Worldliness: With academic pathways becoming more varied and integrating more extra-curricular activities, simulations, and internships than ever before, hiring managers are placing a high value on lifelong learning and transferable skills gained through life experiences. During an interview, you might be asked about your stint as the captain of a basketball team and the leadership lessons you acquired from that experience rather than your third-year Statistics score. All the best for making 2016 a transformational year for your career skill-set! This is very informative article, As an Engineer technical skills are an important part of our life. We help students to improve their technical skills. We provide Thesis and Dissertation writing help to M.Tech / PhD students.